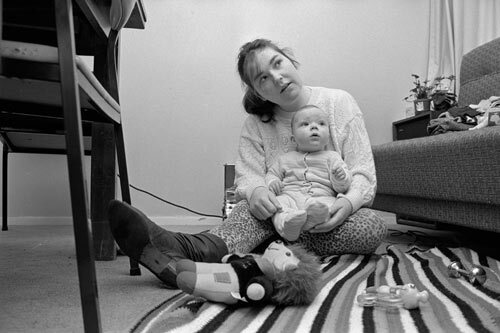 Seventeen-year-old sole parent Rhonda Leone was able to care for her baby, Sean, with financial support from the domestic purposes benefit (DPB). However, in 1991 the government decided that sole parents had to be 18 years old before they could get the DPB. While Rhonda continued to receive this benefit, other young single mothers like her were no longer eligible. Rhonda said that life would not be worth living if she had to give up her baby because she could not get the DPB.